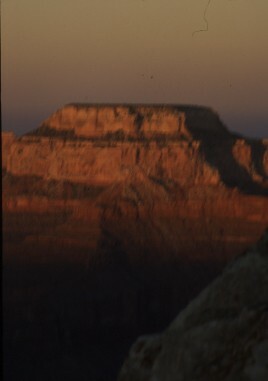 A trip to the Grand Canyon is a “must see” when you travel out West in the USA. 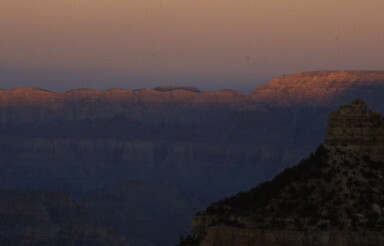 Arizona recognizes it as one of its finest attractions by designating itself the “Grand Canyon State” on license plates.Most people drive or come by bus to see nature’s show. 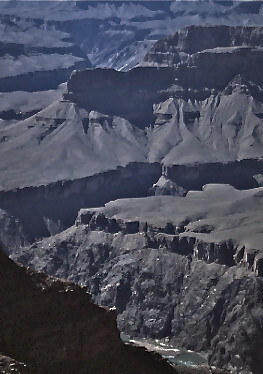 It is a drive from Flagstaff (80 miles) or Williams (59 miles), but can also be reached by the Grand Canyon Railway from Williams, a fun trip. 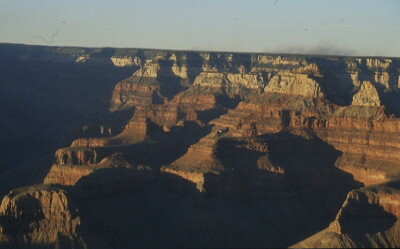 Upon arrival during the main summer tourist season, expect to park in the lot at the South Rim and use shuttle buses to get you to the viewing areas. 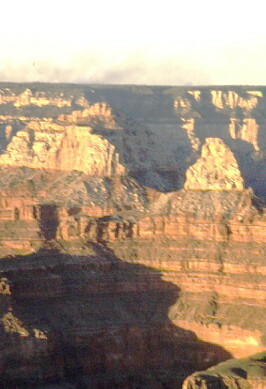 There are restaurants at the Park’s South Rim, but they are of the hewn wood and rustic variety. There are landmarks like the El Tovar Hotel that have been around for over a century (which was refurbished a dozen years ago), as well as Bright Angel Lodge, Kachina and Thunderbird Lodges, Maswik Lodge, and Yavapai Lodge. All of the previous have some form of dining facility. If you are the intrepid sort and plan the strenuous hike to the Grand Canyon’s floor and need a rest stop, Phantom Ranch is the respite for those travelers. (Reserve meals before you attempt the trip.) We did not attempt this long hike, which we understood could only be accessed by mule, hiking or river rafting. We recommend that you allow a day to hike around the various vantage points, take zillions of photos, and visit the various historic hotels for rest stops, food and souvenirs. Our favorite? – I’ve been twice – is Bryce Canyon. This entry was posted on Monday, August 30th, 2010 at 6:00 am	and is filed under Arizona, AZ, Food, Grand Canyon, Hiking, Historic, Hotels, Mountains, National Park, Romantic Locations, Scenery, Southwest, Travel. You can follow any responses to this entry through the RSS 2.0 feed. You can leave a response, or trackback from your own site. It’s wordpress, but I don’t know which variation. It was developed for me with my modifications.